On April 30, 2016 February 17, 2018 By felicitousfelixIn Are There Lesbians? In the early hours of All Saints Day 1988 it’s easy to feel like you are the only person left alive in the world, but as events unfold four newspaper delivery girls face the realisation that they might be just that. Travels in time and space, and possibly the rapture are pretty big things to deal with, but what’s a worse or harder time than being a teenager? 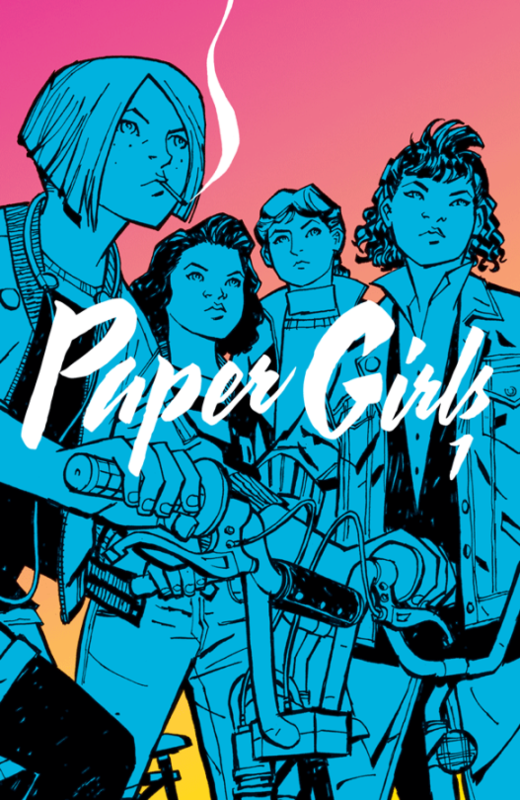 Bright colours, female main characters, poc and interesting plot – there’s nothing I don’t love about Paper Girls. Arguably there aren’t any lesbians but the girls are 12 and there are 5 of them and after all, this is only the first TP, plenty of time for character development in later issues. For now I’m pretty happy to sit back and watch these kickass girls take on the world, and possibly God himself, if god is a meglomaniac old weeb-lookin dude. (honestly I can’t think of a better way to describe him, but I would expect this dude to mansplain to me in about 0.05 seconds). 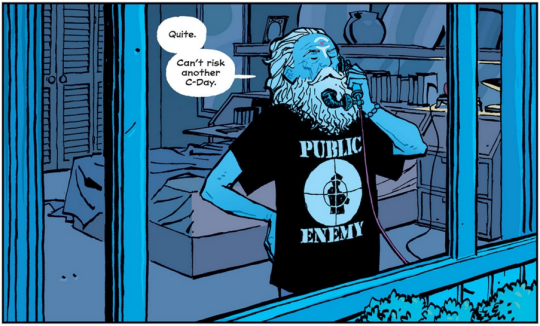 Of course if it’s The Gays™ that you’re here for, Paper Girls doesn’t disappoint, and in true classical style he’s dead in 3 issues. But at least his entire personality didn’t revolve around queerness and he got to be all altruistic and helpful and get as much character development as one can in the three or so issues he was around. So I guess that’s a plus. I’m already so invested and intrigued by the plot my money is currently on some sort of science/time travel thing that plays on religious ideology (or vice versa seeing as time travel is involved). I think my favourite detail is the “future speak” used by the main antagonists- a strange mix of text speak and what appears to be latin. From the blurb, I’ll admit I wasn’t expecting anything super light and fluffy – especially with the first pages hitting hard with the Catholic Guilt train (imagine being punched in the stomach by a freight train only the train is Jesus and it’s somehow your fault) – but I’m going to be so mad if any of my main girls die (again), especially if it’s one of the non-white characters, which is relatively likely as they appear to make up the majority. 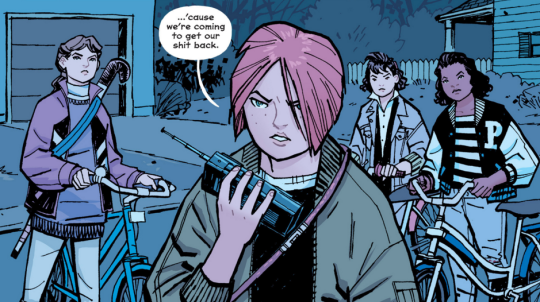 I’m really liking Paper Girls and can’t wait to see where it takes us next… really I wish comics would stop ending on insane cliffhangers like this (like books don’t). Anyway, I highly recommend this comic because teenagers being teenagers and sci-fi and possible religious-themed intrigue. also please appreciate my dedication to this blogand yet here i ambrian k vaughancliff chiangcomicdamn comics why you gotta have so many people contributingi have a headcold and my face hurtsif i write one i gotta write them alljared k fletchermatt wilsonpaper girlsreviewwhere be lesbians?